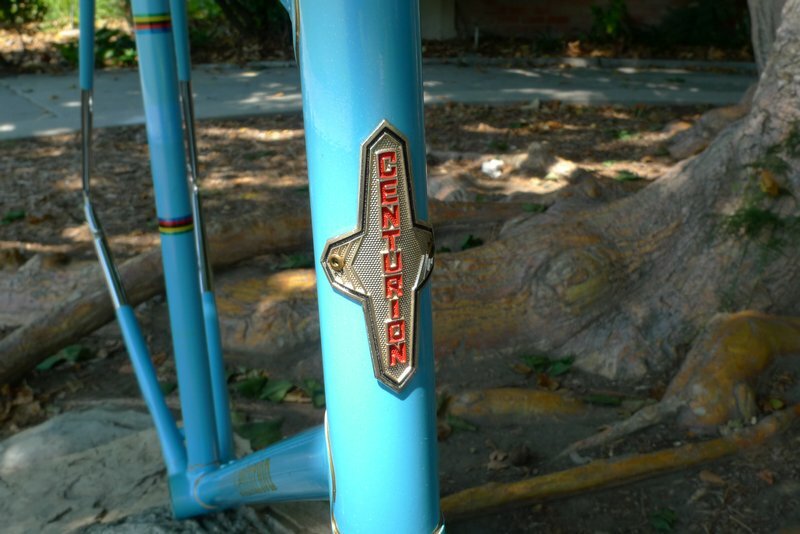 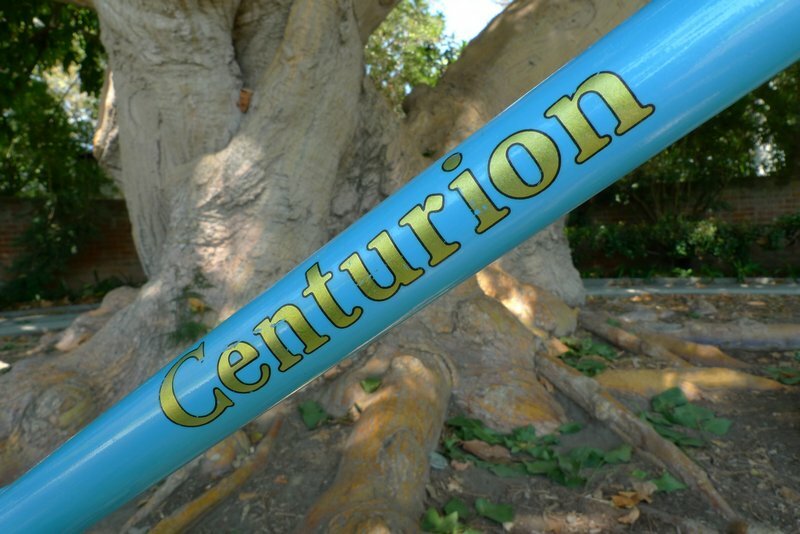 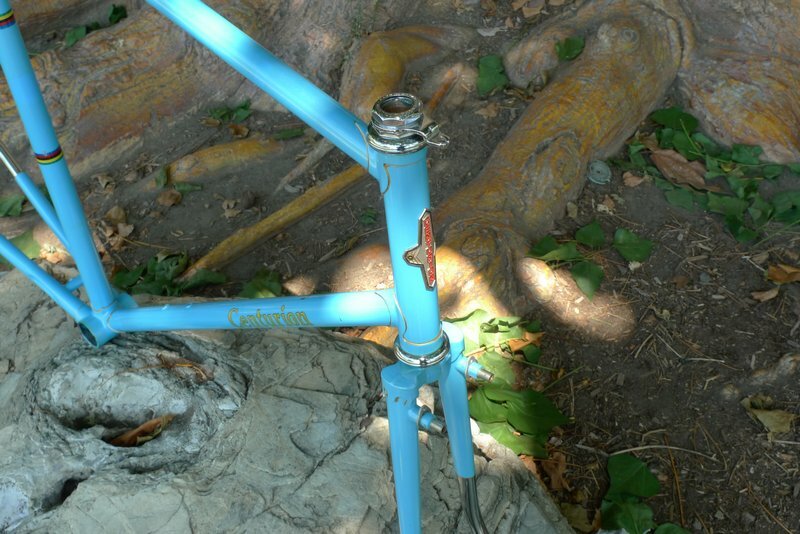 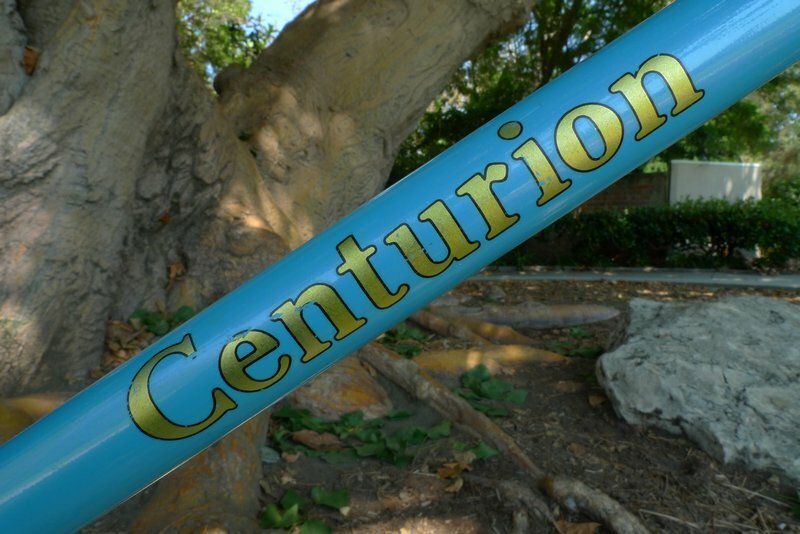 Circa 1976 Centurion Pro Tour. 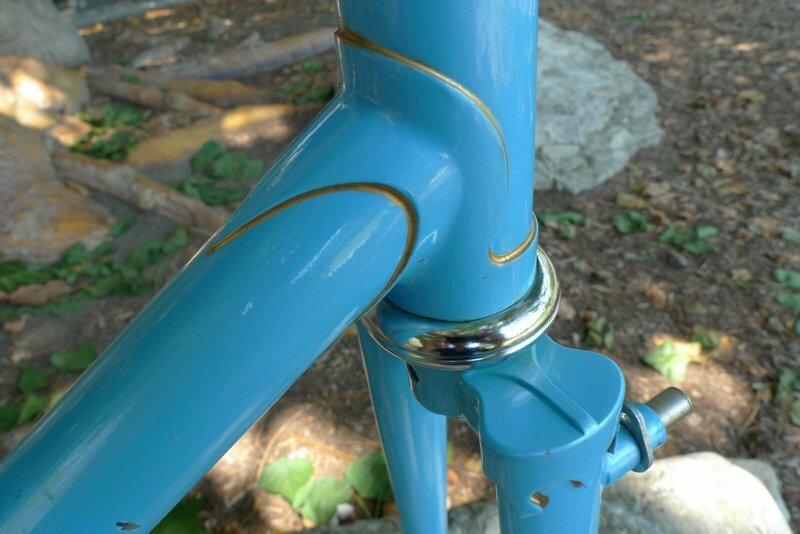 Scroll to the right for more images. 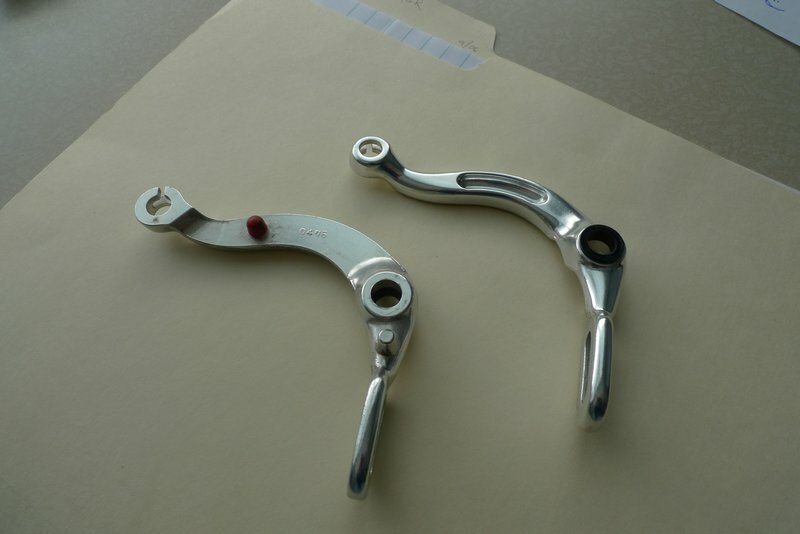 Bought on eBay in 2011. 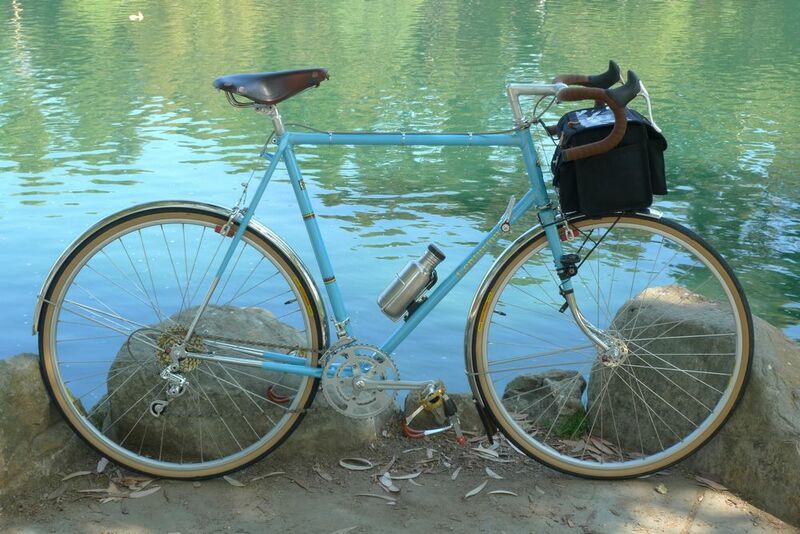 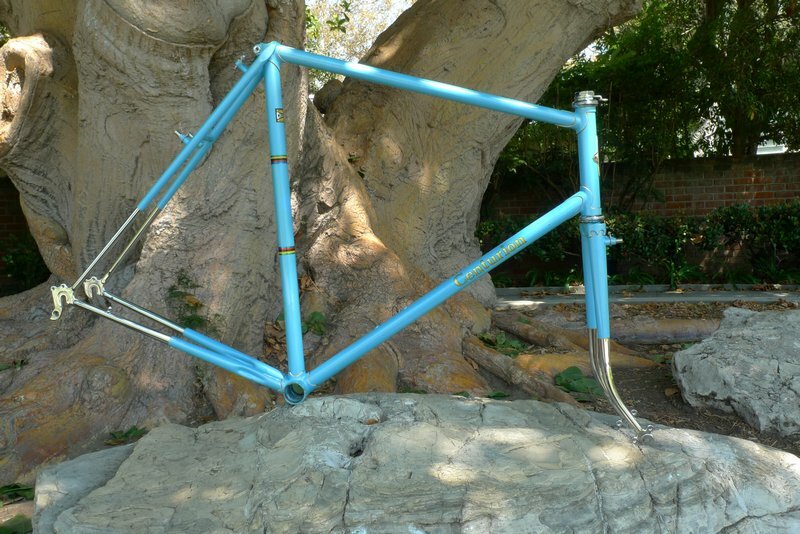 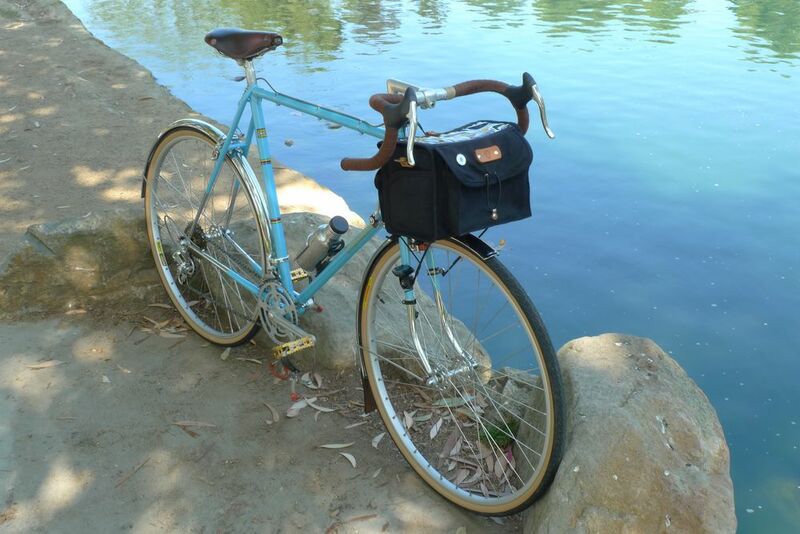 Rebuilt with a mix of original and non-original components in a randonneur style. 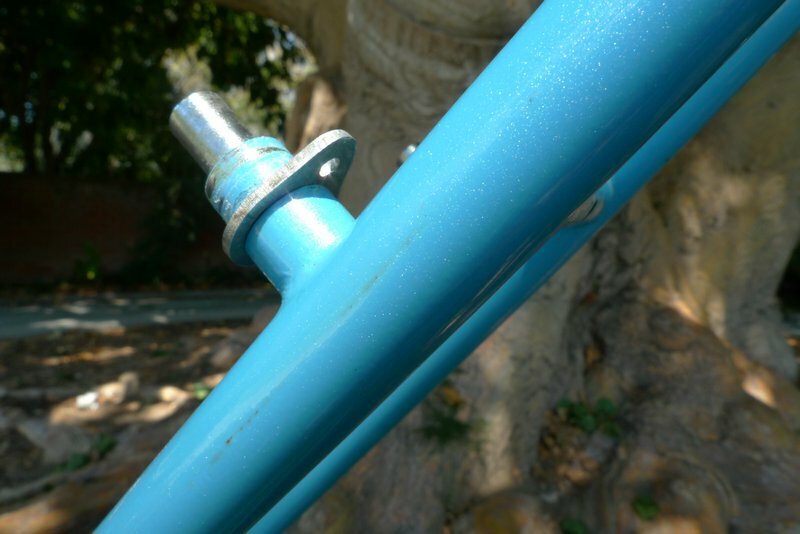 I used an extra-long bolt on the p-clamp that fastens the rack to the fork, and this provided a mounting point for the cyclocomputer bracket. 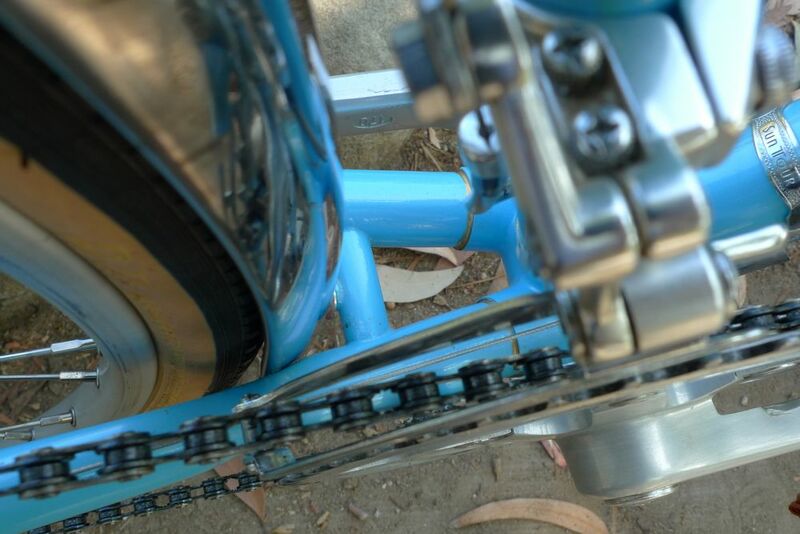 Cyclocomputer is visible only with some effort, which is how I like it. 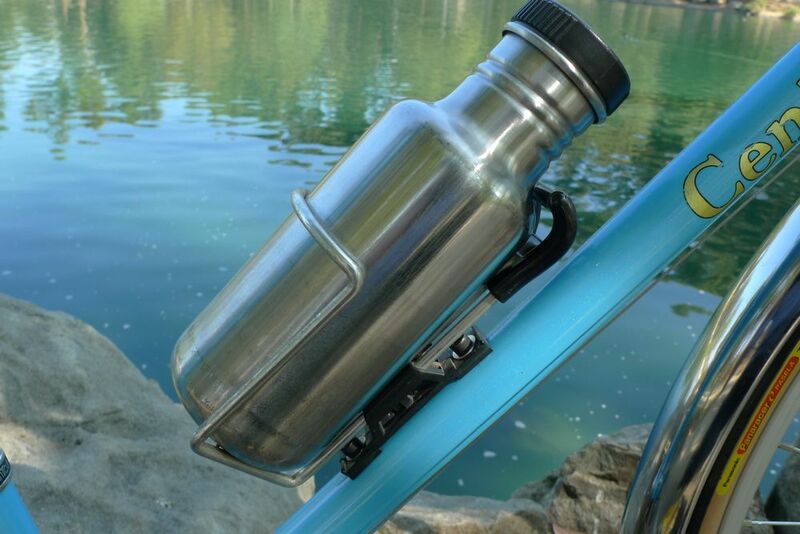 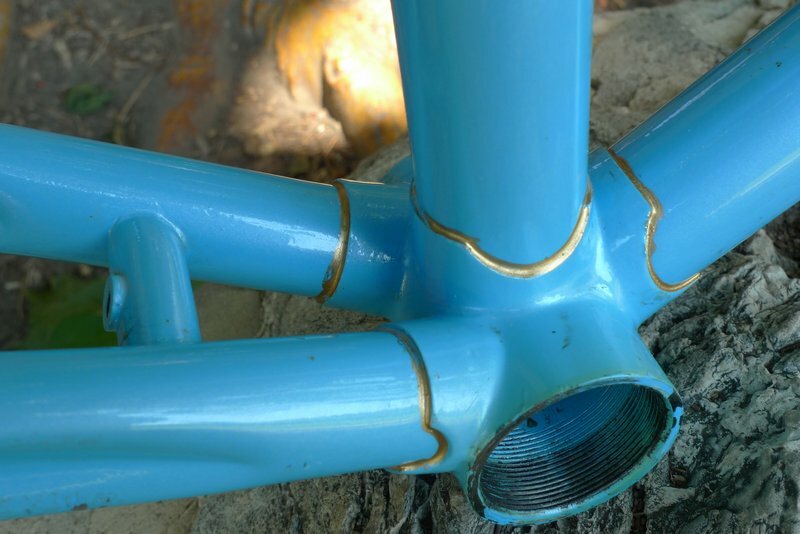 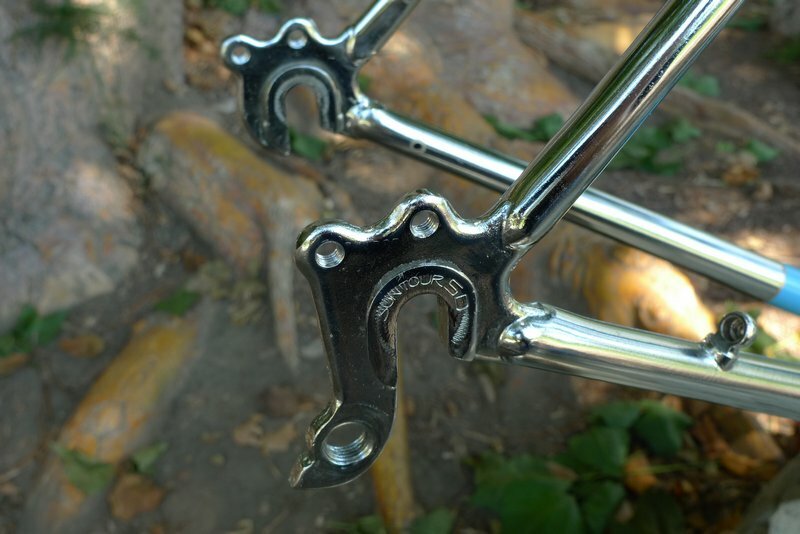 Vintage OGK water bottle cage. 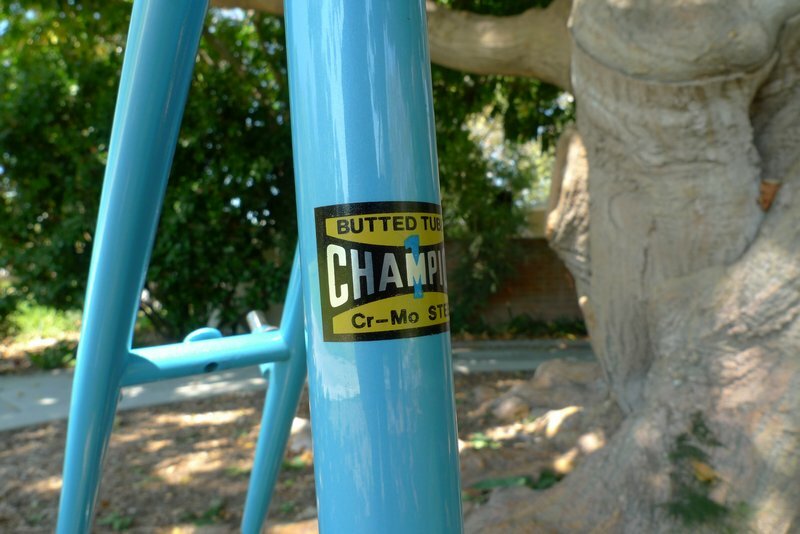 Tange Champion #1 (8/5/8) tubing. 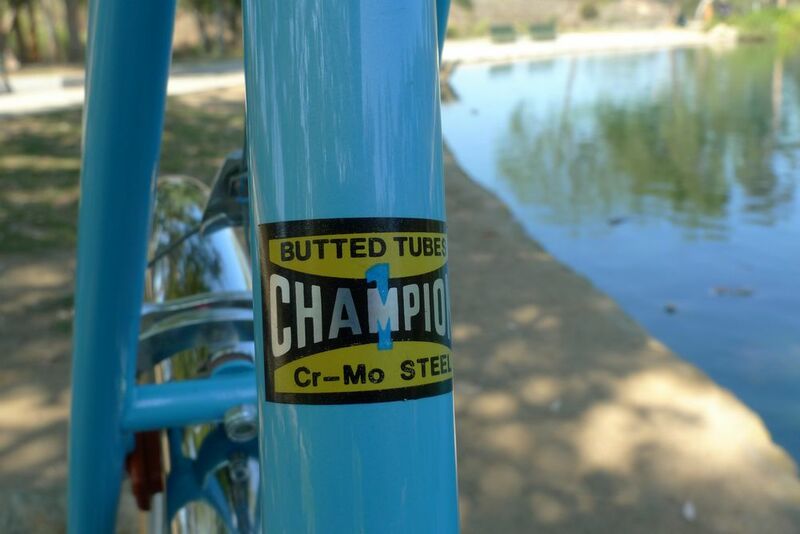 Research suggests most Pro Tours used #2 tubing - I'm not sure if this varied by model year or if this was by special request. 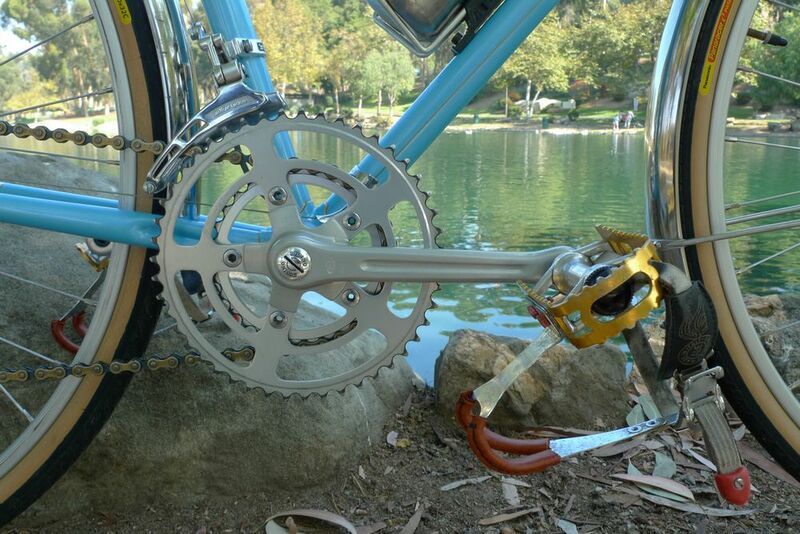 MKS BMX-7 gold-anodized pedals, KKT toe clips, leather from Velo Orange. 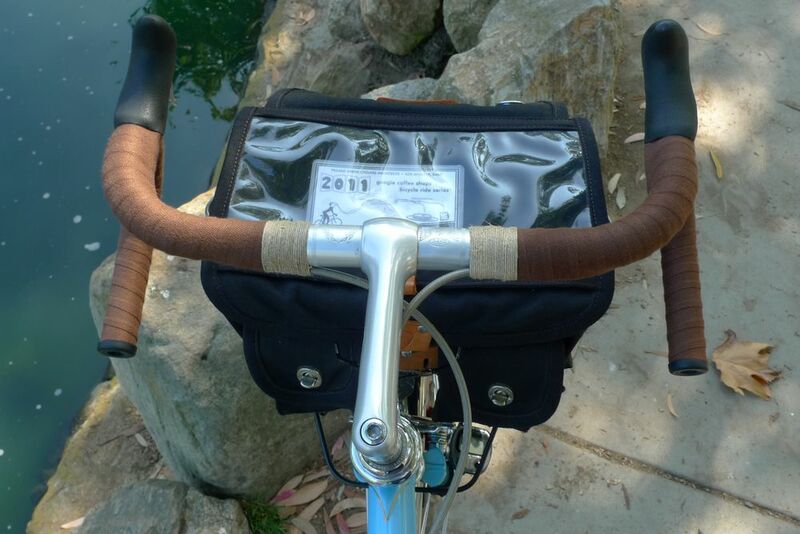 The bike came with bar-con shifters, but downtube shifters seemed more appropriate for how I wanted to rebuild it. 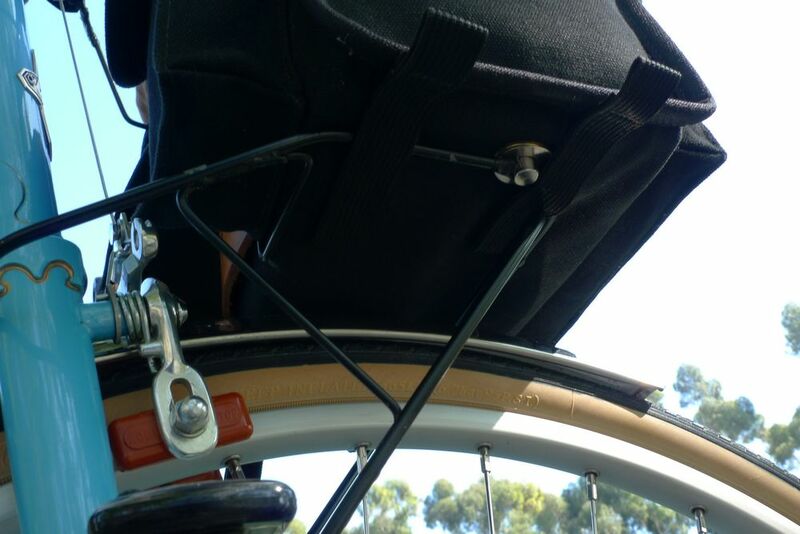 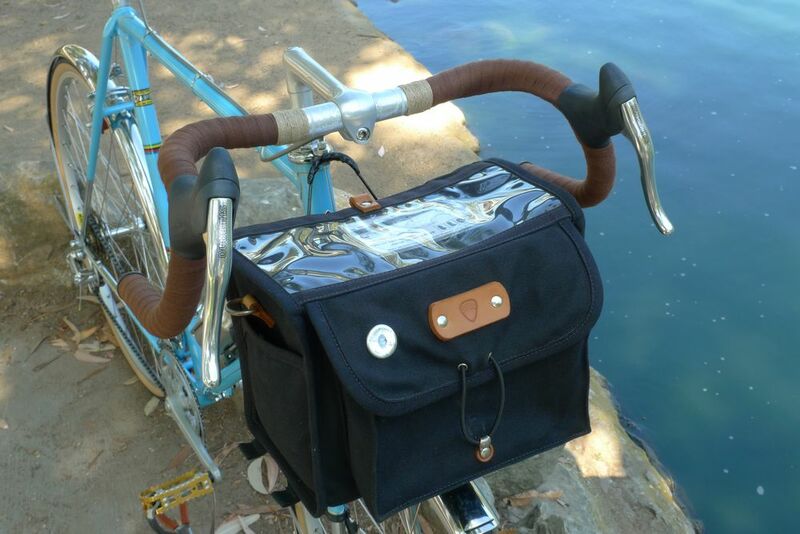 Old style Velo Orange open fender draw bolt to rigidly fix the bag to the homemade rack. 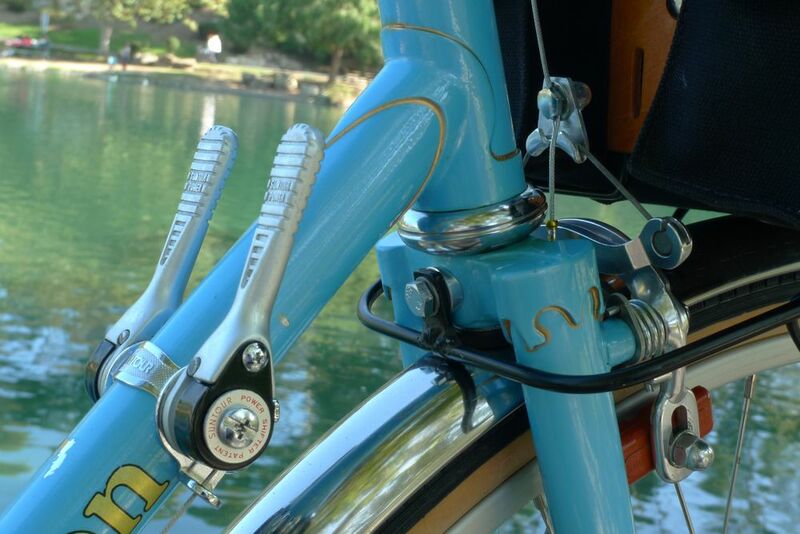 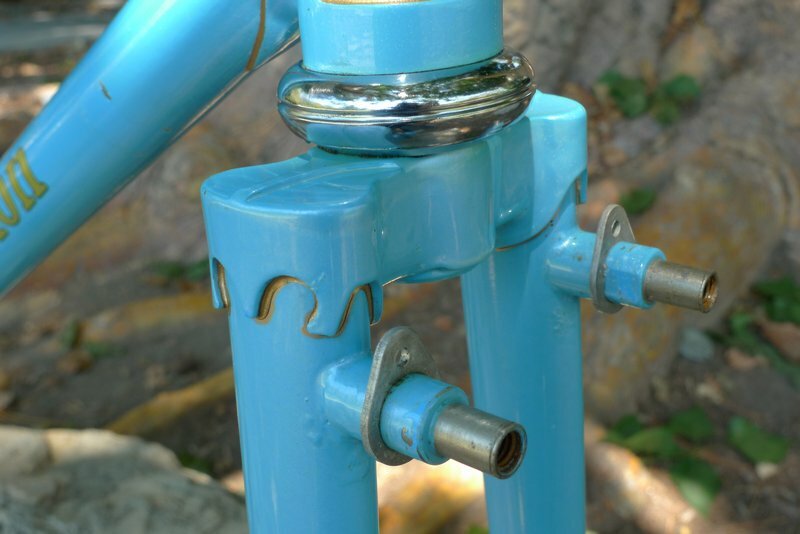 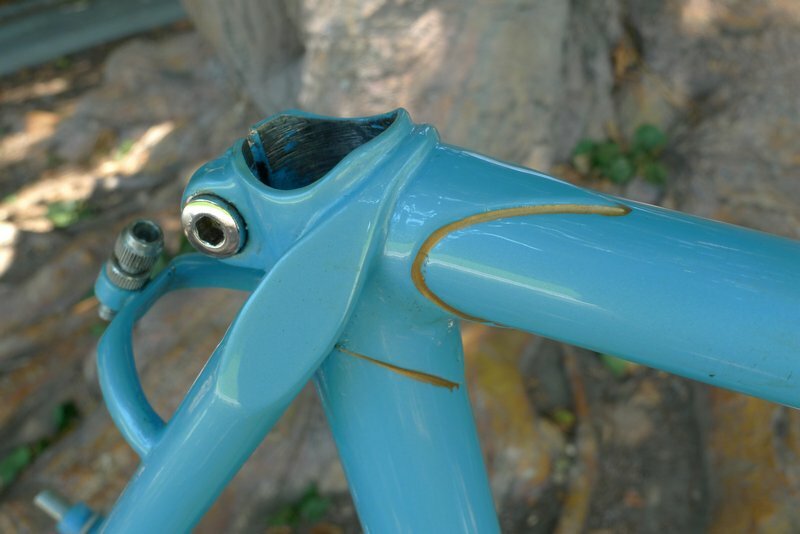 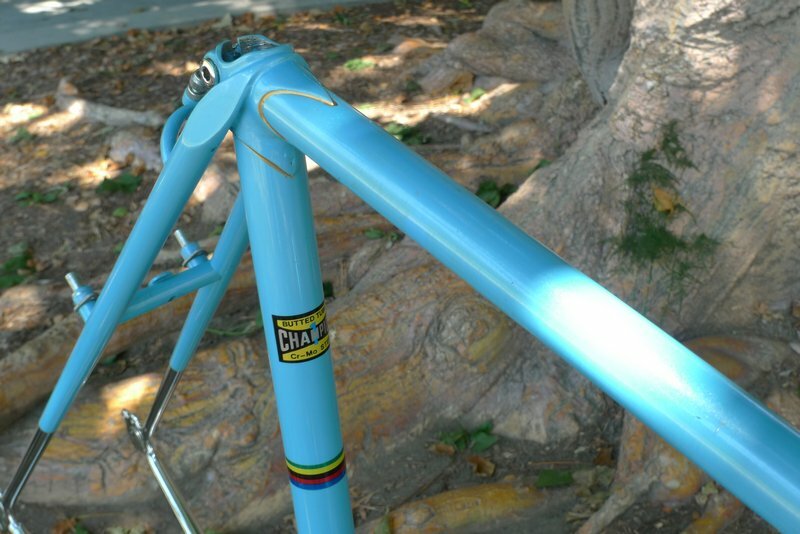 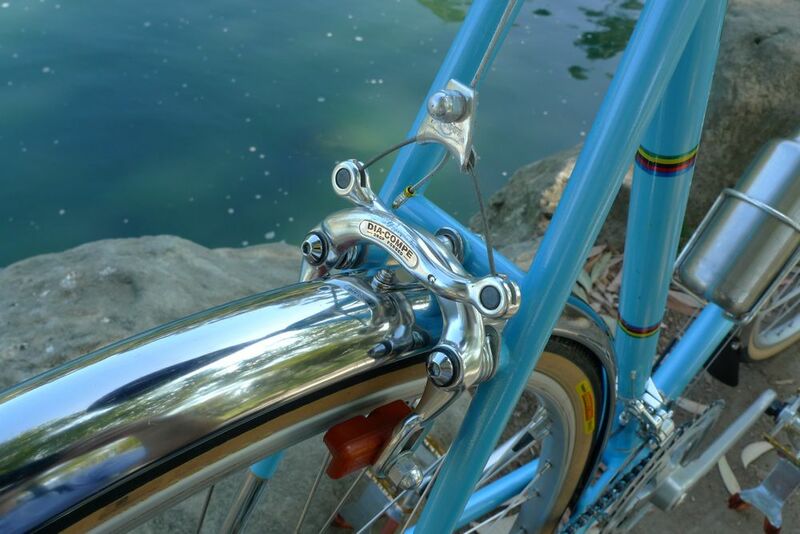 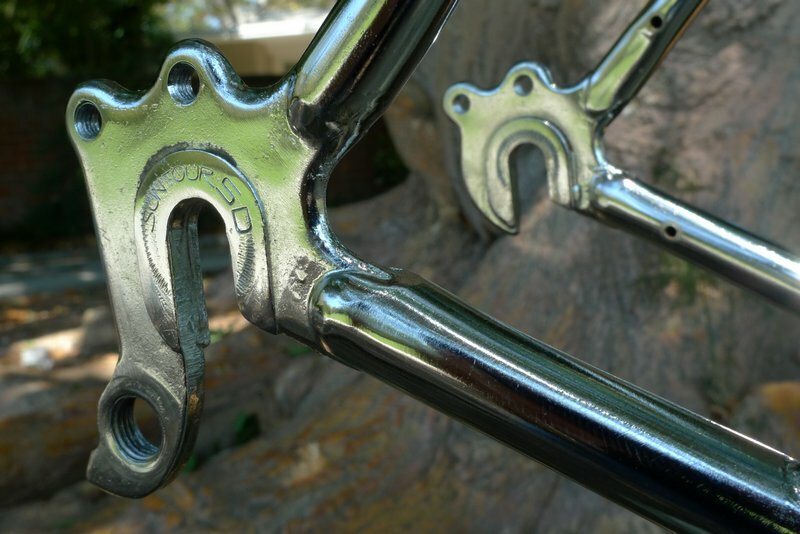 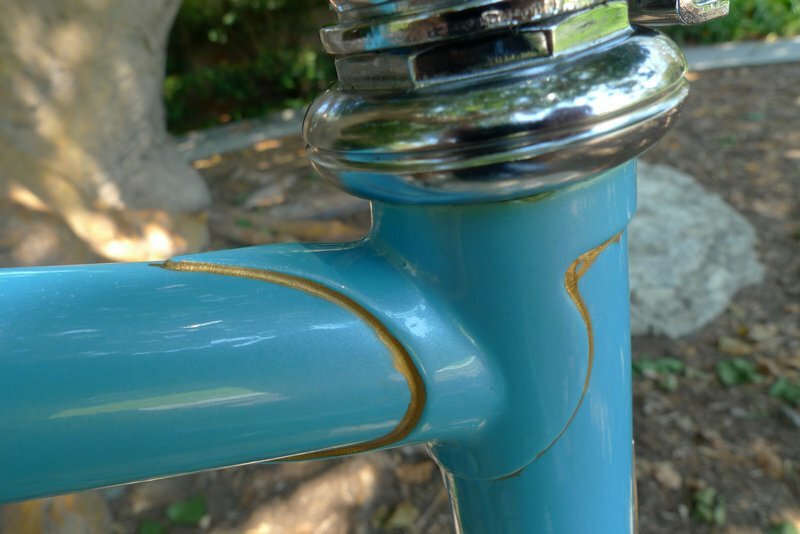 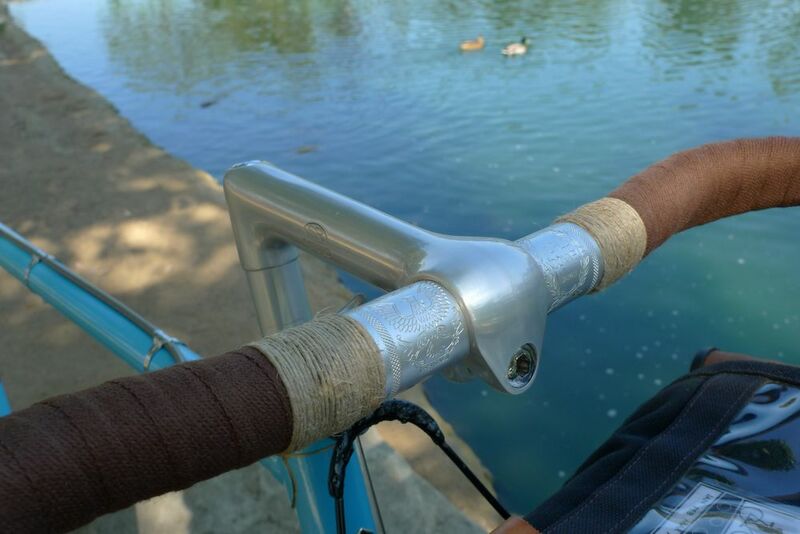 Fancy version of the SR randonneur handlebar, "SR World Randonneur". 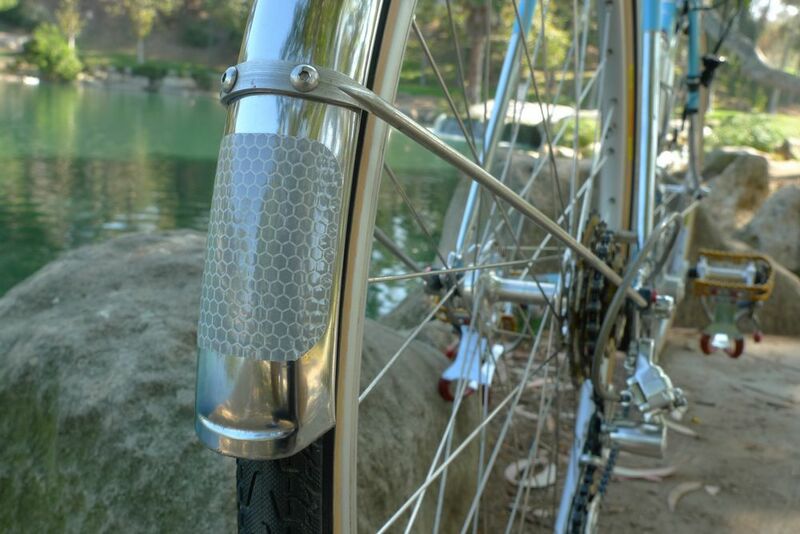 Patch of 3M "SOLAS" reflective tape. 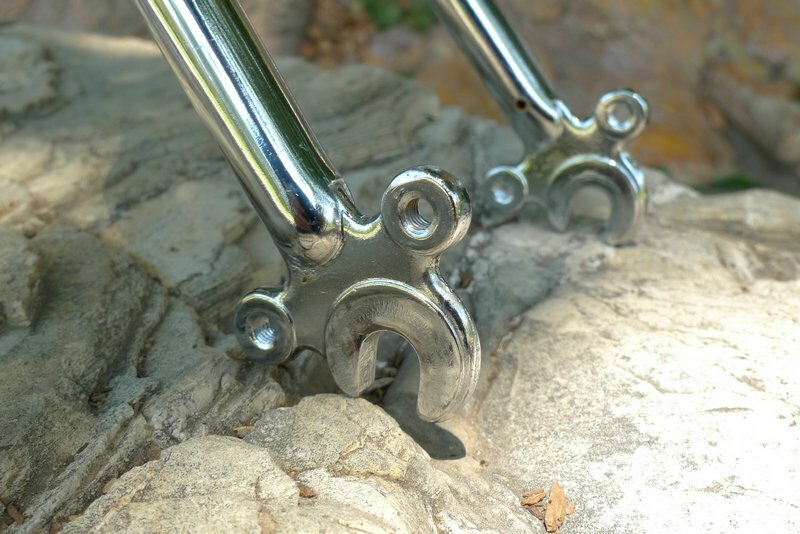 Threaded boss at chainstay bridge. 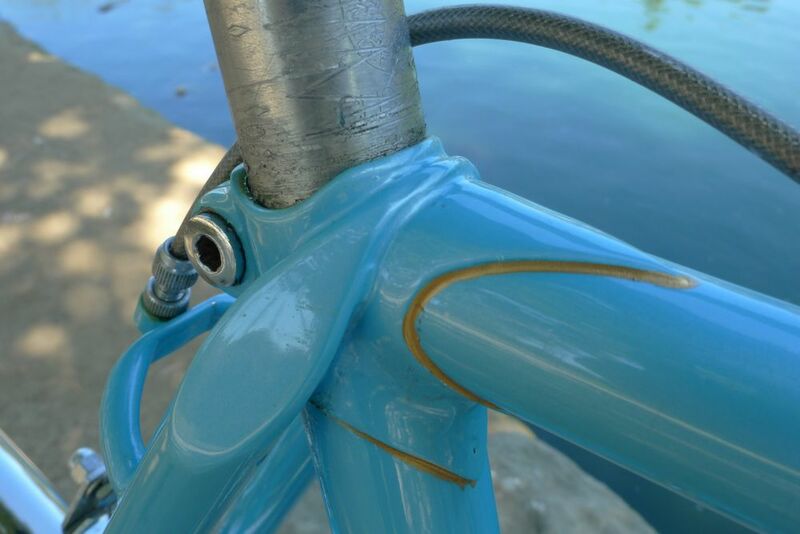 Brazed-on Dia Compe 610G centerpulls work quite well. 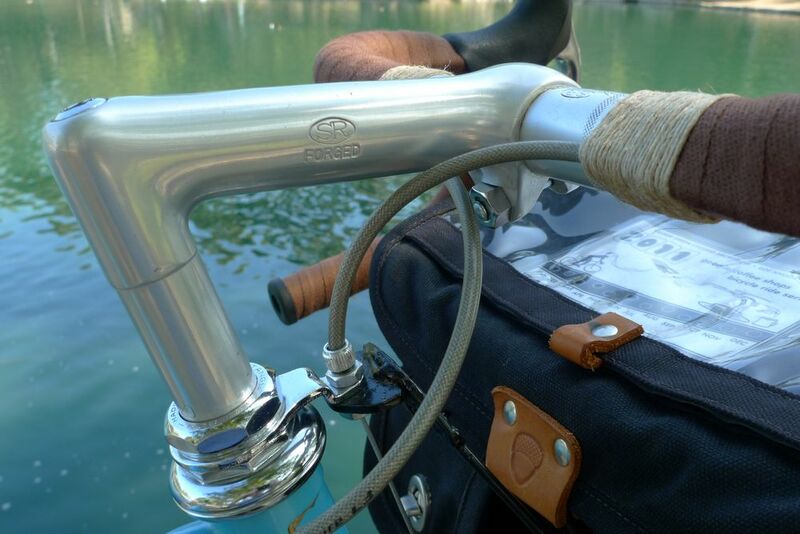 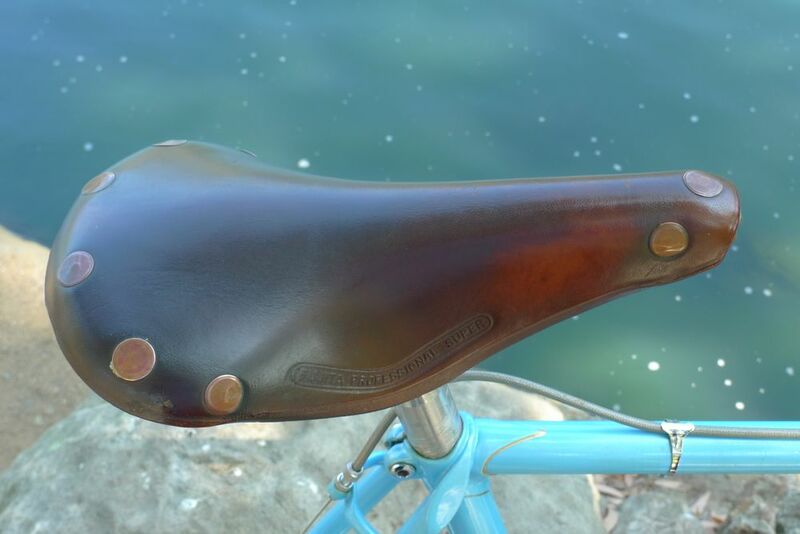 Honjo fender clip on Berthoud fender. 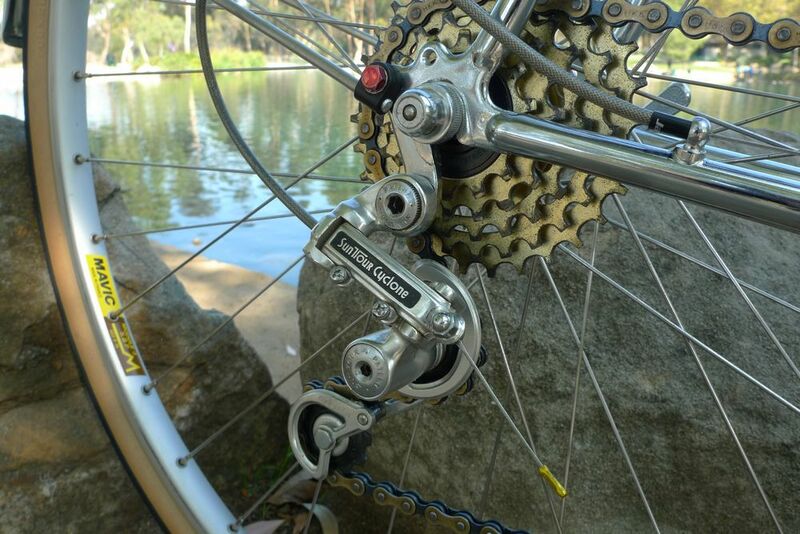 Original Suntour Cyclone derailleur, original Suntour 14-30 freewheel and gold HKK chain. 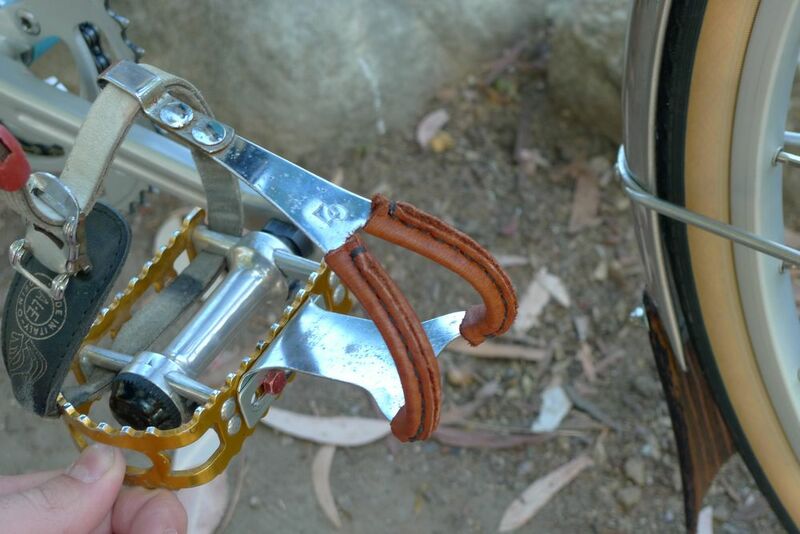 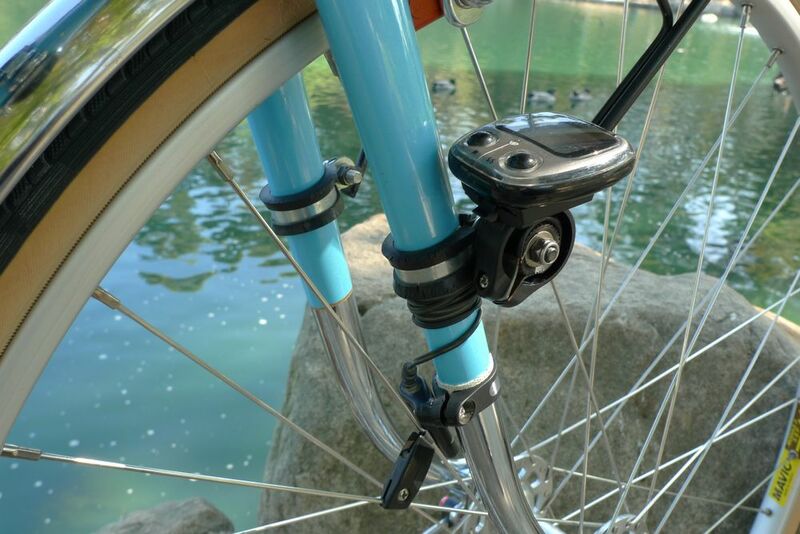 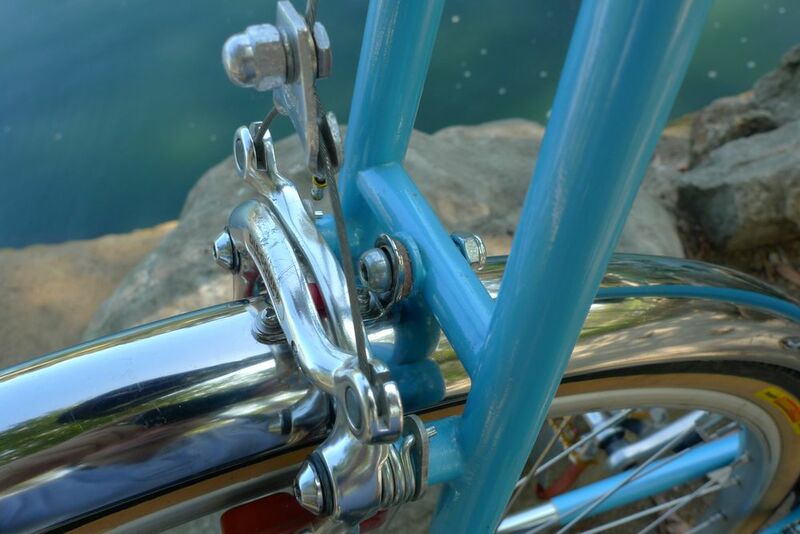 The decaleur was originally designed to have a quick-release function when used on a bike with a sidepull brake, but now is configured as a permanent attachment with the threaded brake adjuster used to clamp it into place. 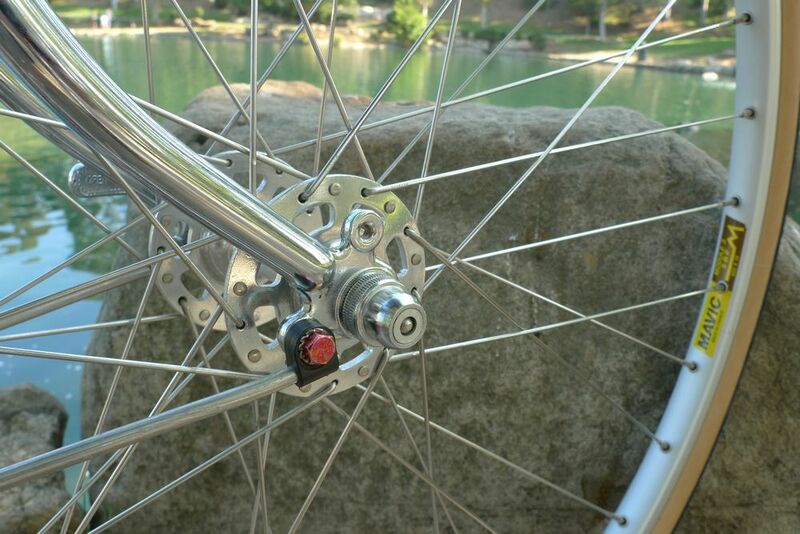 Nub and slot makes it so this brake is self-centering.